Along with them raging dance floors and never-ending supplies of ‘vibes’, there comes a whole lot of blood, sweat and tears. In this unique new interview series, we sneak a peek behind the curtains at the men and women who make it all happen. From production to curation to bookings, its time the spotlight fell upon not just the artists but also the Unheralded Heroes of the Groove, the Harbingers of Good Times and the Valiant Soldiers of the Underground. We allow you a fleeting glimpse at the undercover facilitators of stellar musical experiences, starting things off with AFE’s Vinay Khilnani. What was your motivation behind joining forces with Ankytrixx to create AFE and what is the vision of this new company? I had been programming electronic music gigs in Bombay for quite a while. Most of it involved speaking to acts for their bookings. The process was tedious and repetitive in terms of filling calendar dates. As a programmer I was always looking for something beyond just filling empty slots. Among the various performers I interacted with, Ankytrixx stood out. We would discuss line ups, decor, smoke machines, disco balls, strobes — he always said “lets do something different”. One day we happened to be casually hanging out at his house and the next thing I knew we were working together for his annual Ctrl Alt Dance festival. And here we stand today. 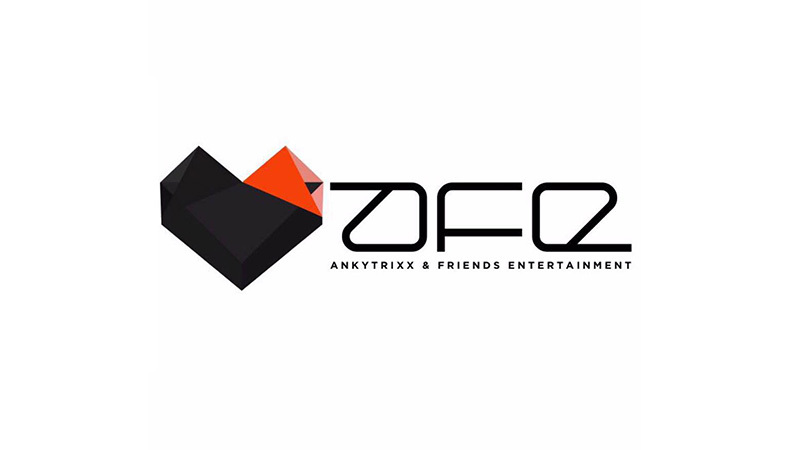 We are AFE (Ankytrixx & Friends Entertainment). The vision is simple — bringing all the like minded people from India to collaborate — to have a family that takes the Indian electronic music contingent further out into the global village. How has your time AFE so far been? What are the challenges and benefits of working in a team as opposed to when you were an independent programmer? This is our first quarter working together as a company — 4 months to be precise. The feeling is unreal. Every day we learn from our past, we leave behind what we have achieved and start again. Every single booking we make or venue we program, we try and regather and start from scratch. We are constantly learning, striving to not make the same mistakes, and to execute and improve certain things that are working in a better way. The biggest advantage working as a unit is that we are able to accomplish so much more than we could individually even after investing 2-3 more years. What is the reaction and experience of the International DJs you are booking to tour India? All that a traveling artist needs is safety and security — in terms of being paid on time and looked after well, confirmed shows, no last minute cancellations, precise itineraries and to be able to have access to the local culture — things which create a comfortable situation in his mind. If he is relaxed mentally, he has has the freedom to go out there and dish out a fantastic set for the audience. Ankit has mastered the art of hospitality and with every touring DJ we are getting to know them more closely and the knowledge and insight gained through this exchange is immensely valuable. What makes an event memorable and fulfilling for you as an organizer? The most memorable event is to see audience exit the club with a big fat smile on their face. The most memorable event is to see people scream on the top of their lungs when the club lights come back on. The most memorable event is when everyone’s stuck to the dance floor and is requesting for one more track. This is beyond “a” particular artist name. This is a memory everyone at AFE longs for. Week in and week out, that’s the aim – the real challenge, the real goal. Have you observed an increase in interest in booking local talent or are people mainly keen on international artists? Not long ago, we needed a foreign name to pack a club. There has been a major shift in the last 5 years. If I go back to my programming textbooks, 80% of my bookings from my programming days towards the end of my blueFROG days and at Apicius, Boveda and China 1 are full of domestic line ups. Not only are the indian artists at the top of their game, they have a HUGE following now. It’s harder to bring in people for touring acts than domestic acts. We fly in international artists majorly to refresh our programming calendar and some of them obviously because they are top class DJs. For me, this shift of opting for booking local talent over international artists happened a few years ago. Any predictions as to what the future holds http://viagrabuynow.com for Indian artists? Any Indian DJs that stand out in your opinion? Our homegrown talent is ready to take on the world. What is the future of Indian artists? Well the future is out there for everyone to see rather than to have me say it. Take Arjun Vagale, for example. He is busy making music, busy evolving as a DJ, busy touring India, busy touring the world. Lets look at the Soupherb record bosses Ash Roy and Ashvin Mani Sharma. They have a fantastic label, fantastic releases and an equally fantastic summer tour charted out across Europe every year. Then there is BLOT performing at the Great Escape Festival and playing shows in Japan in 2016. Another example is Ankytrixx – through his extensive touring he now has showcases at some of the most iconic venues in Europe. We are hosting a showcase every month; it can be a platform for touring Indian DJs to be out there. There are numerous names that are standing tall. Besides Nephra and Midnight Traffic from Hyderabad; Pal-E from Jaipur; Hamza and SHFT from Delhi; Dharmalogy and Deep Brown from Kolkata; Arpan and Sev from Shillong; Folic State, Qwiver, Orbs & Zen from Bombay; Audio Glitch, Sequ3l, Oozeundat from Pune; Tejas Belkond from Goa etc are some of the names that will shine in the near future. Are there efforts made by the International DJs you book to also collaborate with Indian artists and support our scene or do they just come to play, get paid and go back? Do they look at India as a new market which they can merely exploit through gigs or are they aware and interested in actually helping Indian artists find an international platform? When we tour international DJs, we are very happy to introduce them to young producers and upcoming artists in the country. There is a constant exchange of emails and the history of Indian artists releasing on international labels has a very healthy track record. Most of the international DJs are supportive of our local scene. We have to remember that our infrastructure and nightlife laws are not as broad and supportive when compared to theirs. They adjust and go with the flow. There is no foreign body exploiting the Indian market other than us Indians ourselves. In India sometimes the local artist is touring international DJs so he has to go out and do the venue booking, promote the gig, open for the touring artist and be the tour manager himself. In the West, all of the above is managed by different people. International artists are always supportive of the exchange program. They connect us to the right channels and its a varied individual to individual case scenario. What are your future plans? Anything interesting in the pipeline to watch out for? The immediate future plan is to focus on our annual property Ctrl Alt Dance. Lets see how we can step out of the box and make a difference here! The idea is to break the monotony of the usual programming and draw distinctive parallels between x and y. Besides that we are touring Guy J x Guy Mantzur over 7 cities in India from September 16th to the 26th. followed by our first ever showcase in Amsterdam at Club Air, followed by an all Indian Showcase at ADE, followed by some interesting artist tours all building up to our year end gathering.